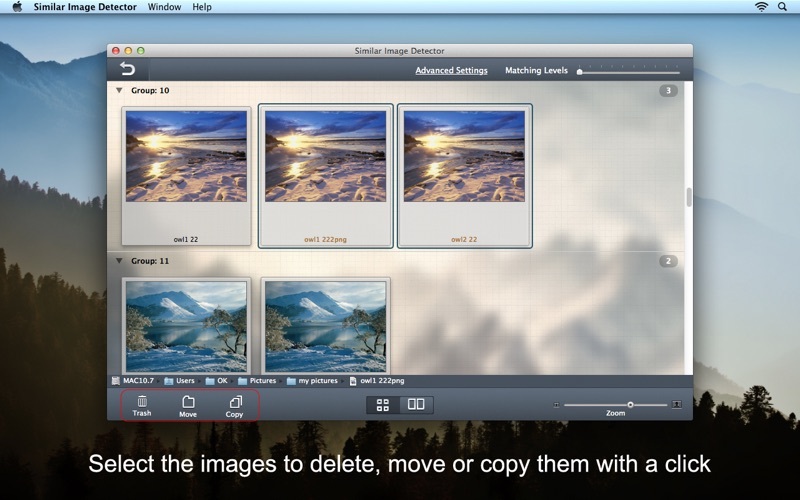 Do you have many duplicate or similar photos on your Mac and you don’t know how to eliminate them in batches? 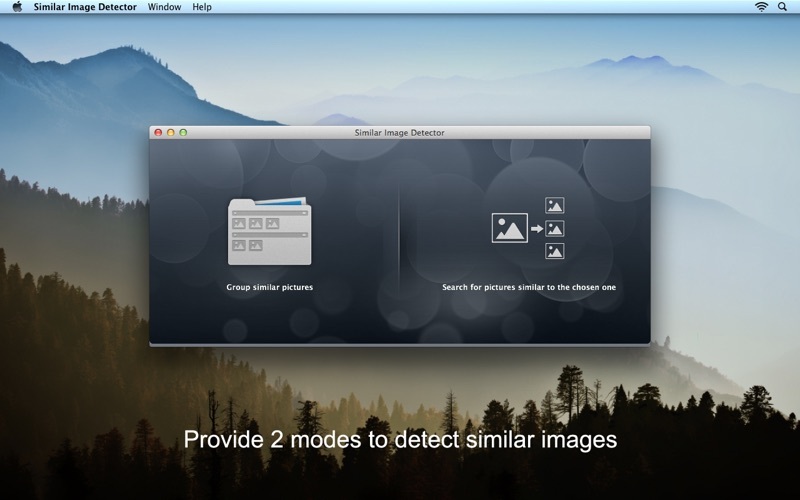 With Similar Image Detector, you can find all the duplicate or similar photos on your mac with great ease. 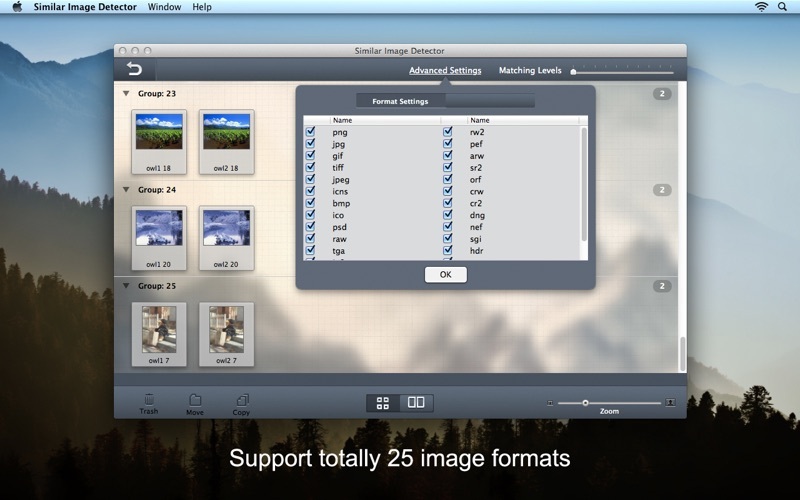 Similar Image Detector is a simple and efficient utility for finding duplicate or similar photos on your external hard drives and local disks, in Apple Photos, iPhoto. And you could organize them with Trash, Move and Copy functions. • Photographers: Who take a series of photos of the same scene for getting the perfect shot. • Art Designer: Who edit photos with software like Photoshop, Pixelmator etc., and make backups just in case. • Photo collector: Who have photos scattered all over the system: external storage deice, SD card, hard drives and local disks, or in Apple Photos, iPhoto and so on. 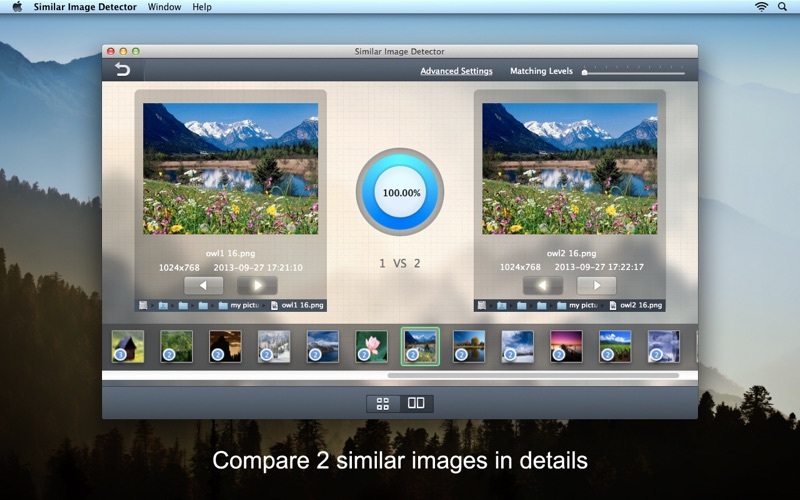 • Just clean your mac: You have a mess in your photo collection or just want to free disk space by removing junk photos. - Now Mac OS X Yosemite 10.10 supported!